The Junior League of Tulsa, Inc.’s (JLT) mission is committed to both the community and its members. In a continued effort to provide members with opportunities to become more engaged in the League, the JLT Social and Hospitality Committee is encouraging all members, including Provisionals and Sustainers, to join its affinity groups for the 2017-2018 year. The affinity groups offer an additional way to meet members, network, and have fun. “Our whole goal is to create opportunities for League members to make new friends. If you’re new to JLT or Tulsa, it can be intimidating. If you haven’t been as active, it’s not easy diving back into things. We get it and we want all provisionals, actives, transfers, and sustainers to know that we have something for everyone and we want to know you,” says Ashley Whitby, 2017-2018 Social and Hospitality Committee Chair. The affinity group concept began with the JLT Supper Club. JLT member Chris Oden began the group and handed it over to Ashley Whitby. In December 2016, the twelve members began expanding the group via social media and soon the group expanded to more than eighty members. During the 2016-2017 year, the Social and Hospitality Committee decided to expand the affinity groups concept to reach more members and interests within the League. The groups are no-commitment and allow people to come and go from the events as their schedule allows. Members are notified via email or messaging applications when a group is meeting. Members can then accept or decline the invitation. The easiest way to stay involved in each groups’ happenings is to sign up for any or all that are of interest. “I encourage everyone to sign up! We have a lot of fun and there’s no commitment. The invitation is always open, come when you want to, and stay as long as you can. This is seriously the easiest way to make new friends, network, and try new things,” says Ashley Whitby. 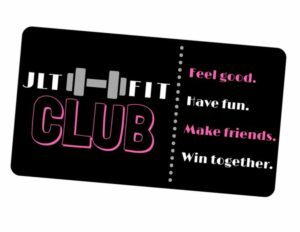 Currently, there are six affinity clubs each geared towards different interests or hobbies: The Book to Move Club, JLT Supper Club, Girls’ Night Out, Monthly Date Night Group, JLT Fit Club, and Mother’s Day Out. A short description of each affinity club is below. If you are interested in joining any of the affinity groups – joining multiple groups is encouraged – please contact Ashley Whitby at Ashley@blushprom.com. A book that has been turned into a movie is read every month. The group then meets up for drinks/food to discuss and watch the movie together. The schedule is flexible and fluid based on the movie’s release. Movies are watched in the theater or a member’s home. The host of the month will advise on date, time, and details. The largest and oldest of JLT’s affinity, Supper Club is a great way to mingle with old and new friends, while enjoying a meal. The host of the month picks a theme and then sends out a chain email during the first week of every month with all the details. Everyone brings a dish/side/dessert/drink that complements the theme or main dish. 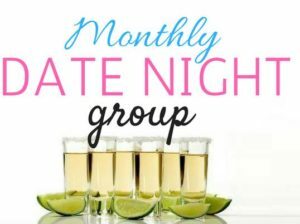 The intention behind the Girls Night Out group is to get together with your JLT girlfriends for a night of fun! We will plan monthly happy hours, brunch, and misc. activities. An effort to bring together the women and men that support the League. Group activities will include bowling, movies on the lawn, mixology classes, poker nights, pub crawls and more. The JLT Fit Club is a monthly fitness group that focuses on getting healthy, having fun, and crushing goals with your girlfriends. Every month is a different schedule and activity. Mother’s Day Out is aimed to bring mothers, and sometimes their children, together. The group will plan a monthly activity either just for moms or for moms and children.